This is a copy of what was recently posted at Jenny’s Blog. 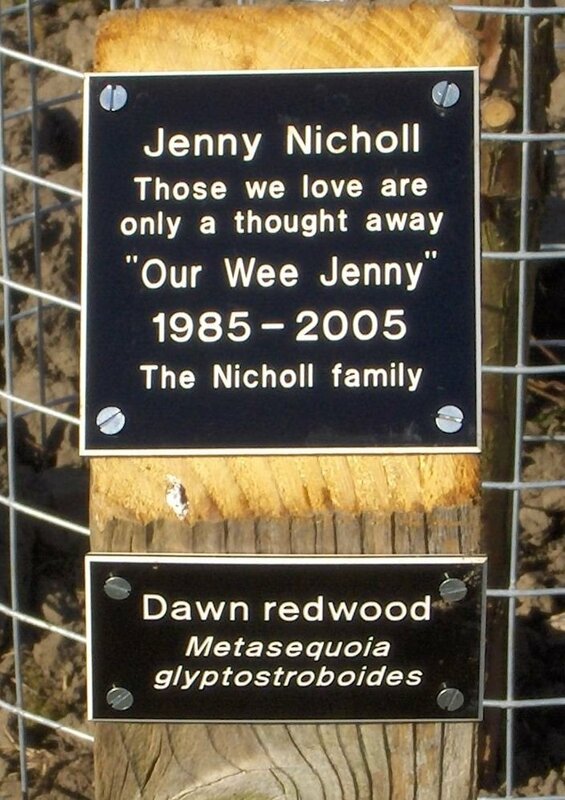 In March we had a tree planted for Jenny and a plaque placed on a small post at the bottom. It is a Dawn Redwood, which is a deciduous conifer and is fast growing. Although it is a conifer, because it is deciduous, it sheds it’s needles each autumn. Before it does, it looks very beautiful as it changes through several colours from green to a reddish golden brown and gold. The trunk of the tree will in time, be covered in a beautiful red soft bark. Jenny’s tree is just starting to bud, so it looks a bit bare at the moment compared to others, but it will soon take off! We don’t want to advertise to the wider world exactly where the tree is just yet, but anyone who wants to visit, just call us or email and we will give you directions. 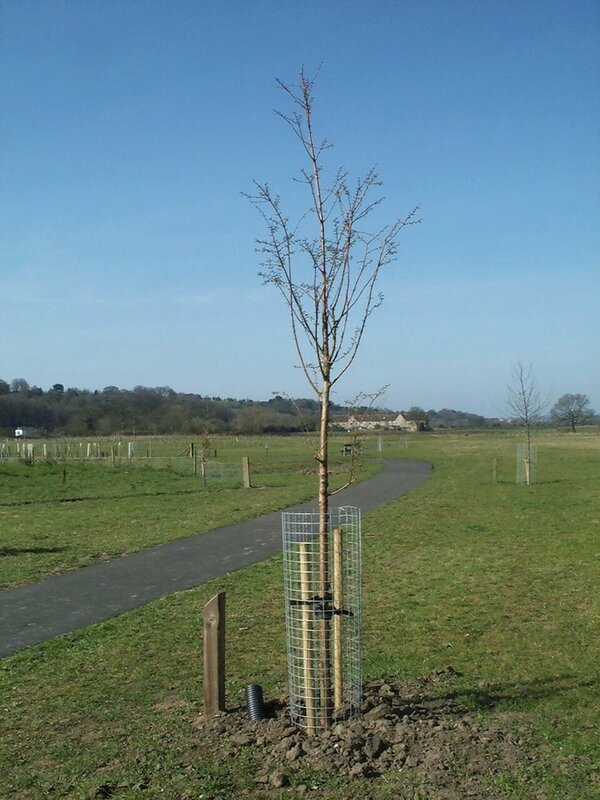 The park wardens, who arranged everything and planted the tree for us, have been great and they have taken a personal interest in it. We know it has been a while since we have updated this site or sent out an update email and a lot of you have been asking what is happening. The investigation is very much “still on the go” though (frustratingly) for obvious reasons, we are not able to go into any detail in this forum. We are sure however, that you will all take some comfort in knowing that it has not gone away or been closed down……. far from it! I had so much fun meeting Chris and spending time with both he and Ann. The wedding was a blast and the resort was awesome. Thank you to Alex and Bronlyn for the great party. We are saving our pennies to hopefully go to England in 08′ for James’ wedding. We love you Ann and Chris and our thoughts and prayers are always with your families and Jenny.